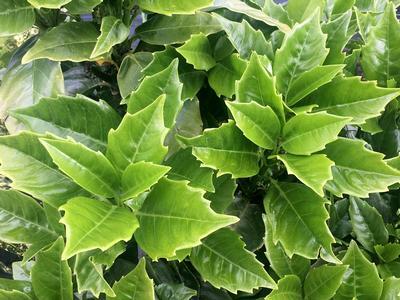 'Emily Rose' Aucuba is a dark green female selection with superior cold tolerance. 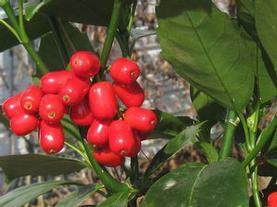 The slender lustrous leaves are evergreen , and make a great setting for the large shiny red fruit. The berries color up in mid to late winter, and are retained well into the summer, providing a log lasting show. 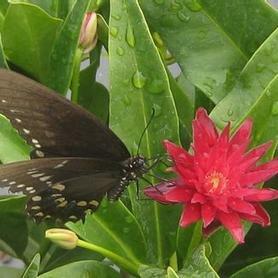 Any male form planted nearby will provide adequate pollination. 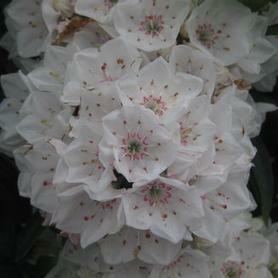 Aucuba 'Emily Rose' was an introduction from Hines Nursery of California.